Note: For this review, TomTom kindly provided me with the TomTom Spark 3 a few days before release, free of charge. This has allowed me to fully test all the features and put the watch through its paces so I can give the best informed review possible. TomTom – along with most other GPS navigation companies – have been experimenting with the fitness technology and equipment market for a number of years now where TomTom have released a number of products including multi-sport watches and activity trackers. TomTom’s flagship fitness product is the Spark fitness watch: a multi-sport, activity tracking and training device all in one. There are different versions, one of which allows you to store up to 3GB of music on the device, removing the need to run with your phone. During the 2016 edition of the large IFA technology event held in Berlin, TomTom announced three main new products. The TomTom Spark 3 (the watch which I will be reviewing here) the Touch Activity Tracker and finally the TomTom Adventurer; a more rugged watch for those outdoors enthusiasts which includes a barometer for more accurate altitude and hiking data. 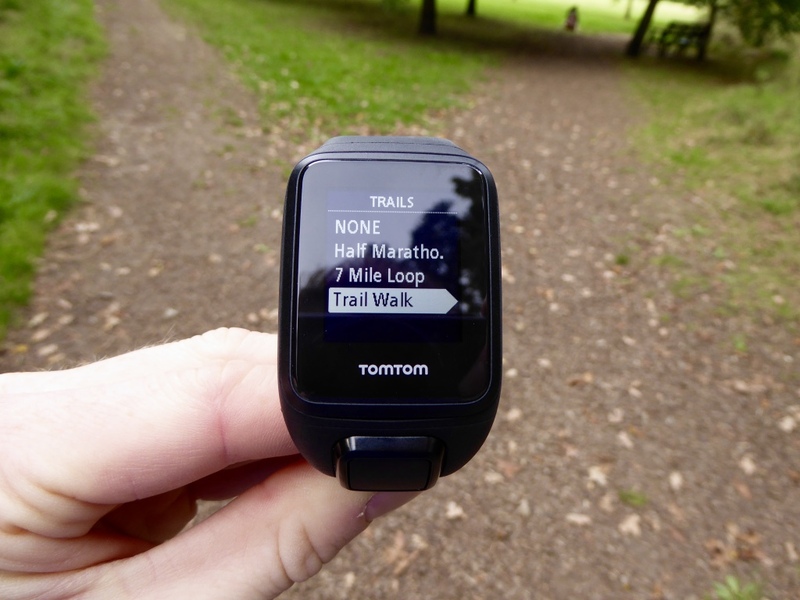 The TomTom Spark 3 builds upon the company’s previous products in this line, adding a whole bunch of new features – the most notable of which being route exploration – in an attempt to make this a standout mid-range GPS watch. 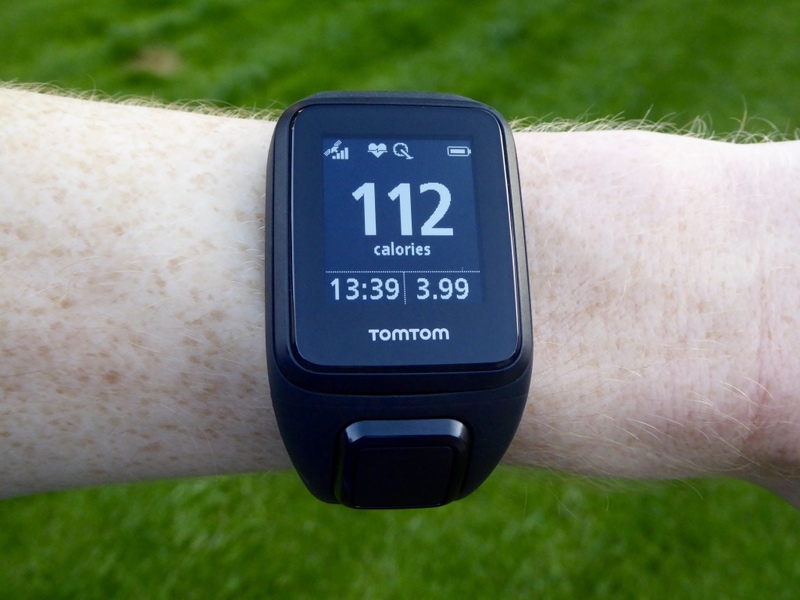 The TomTom Spark 3 is also branded as the Runner 3, a very strange move in my opinion. 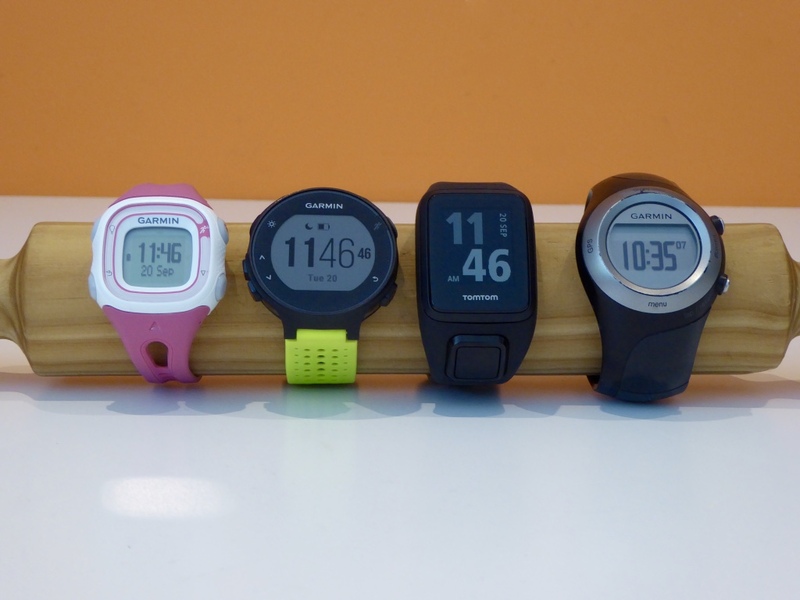 There is no difference in terms of features of these watches, however the Runner 3 comes in a range of different colours compared to the Spark 3’s black and the two different names for the same product is very confusing. Other than the range of improvements underneath what you see, little else has changed with the Spark 3 from its predecessor the Spark 2 in terms of looks. 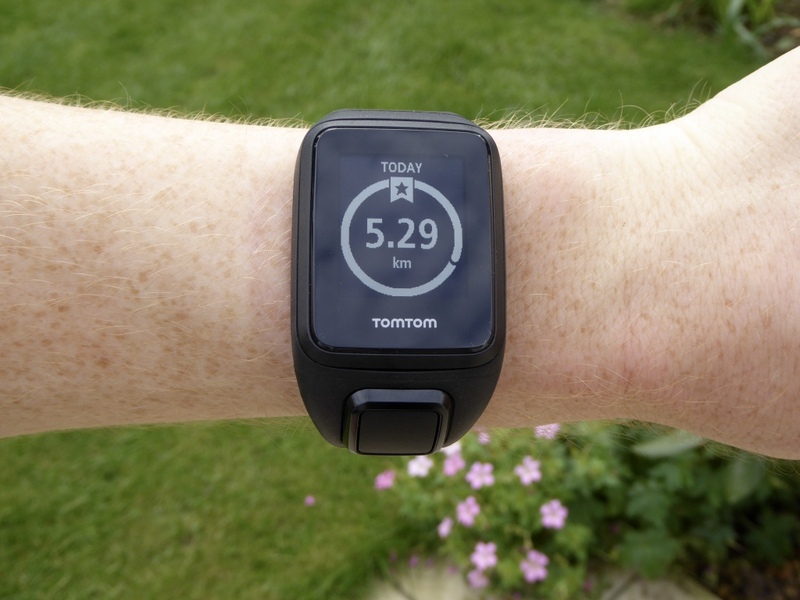 The new TomTom Spark 3 is slightly slimmer with an improved band for all day use. The watch which I was provided with by TomTom was the TomTom Spark 3 Cardio + Music, one of the four variants within the TomTom Spark 3 range. There is a base model which has neither music or cardio features, one of each which just has music or just cardio features and finally – the most expensive model – incorporates both these features. Note: TomTom brand those watches which have an inbuilt optical heart rate monitor as ‘Cardio’ watches. First of all we have the box with the TomTom Spark 3. This is nothing special but does include one or two bits of information about the new software and features, along with a useful sizing guide on the back. However, this would only come in useful if buying from a store as you need the physical box itself, but I will talk about sizing further down. The packaging for all of these will be the same, each of which sporting slightly different graphics on the front to specify which features your watch comes with. Also, the TomTom Spark 3 Music edition comes with TomTom’s own Bluetooth earphones which will also come in the box. These are not included with the Cardio + Music edition. 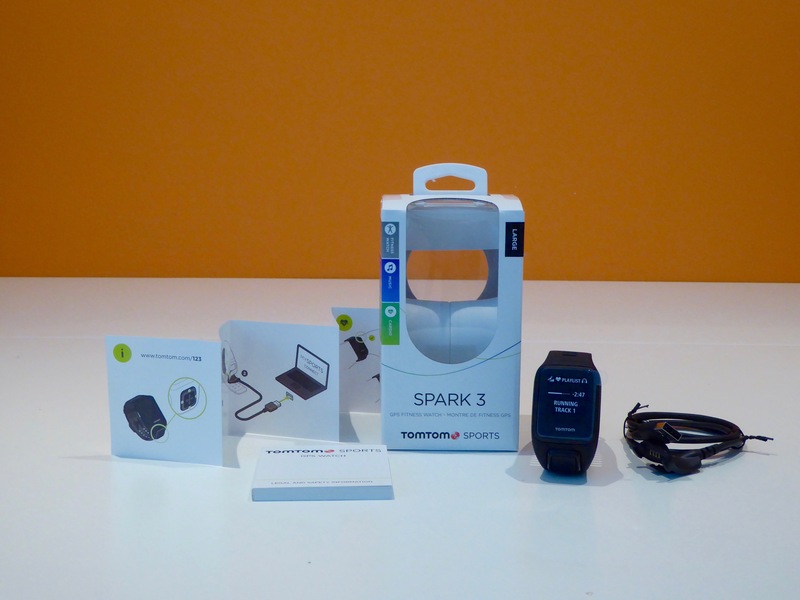 Upon opening the box, the TomTom Spark 3 watch itself is the first thing which you’re greeted with. Digging a bit further you get to the charging cable; a quick set up guide and a complete user manual. The Spark 3 comes in two parts; the pod-like watch unit which snaps out easily (although not too easily that it would fall out) from the plastic watch strap/ band. This band is what determines whether the watch is either of a small or large size, the GPS watch pod remains the same size but the straps come in two different sizes. 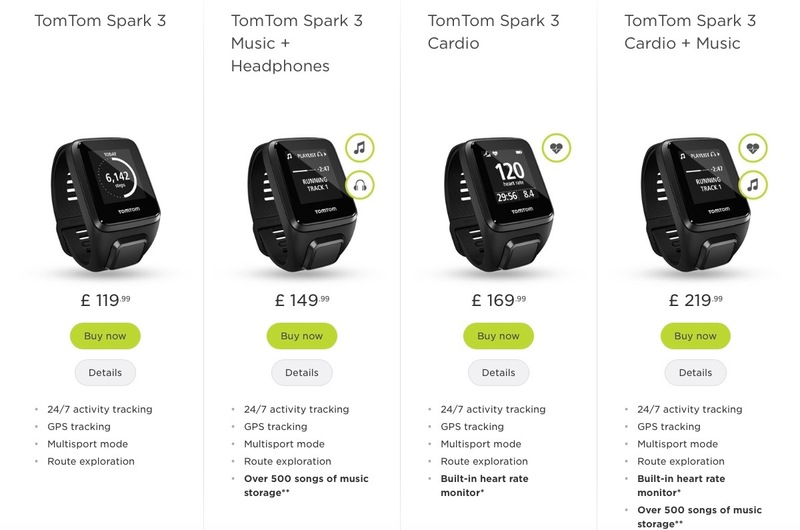 TomTom provide on their website a size guide for determining whether to buy the Spark 3 with either the large or small band. This states that the small band should be worn if the circumference of your wrist is 125-172mm and the large if it is 145-206mm. In total, there are four different colour options which have been released for the Spark 3/ Runner 3, depending on whether you buy the watch branded as the Spark 3 or Runner 3 and the strap sizes, but I expect many other options to become available, allowing you to personalise the watch. With each new model in the Spark lineup, TomTom have attempted to improve the quality of the watch star in terms of durability, fit and feel. For me, this is definitely their best one yet; as the pod has a slight curved design to cater for the small control panel at the bottom, a stiffer section of the strap wraps around the wrist at the bottom of the watch pod, hugging the wrist. This makes for a very secure and comfortable fit which doesn’t move all over the place when either running, swimming or cycling. This helps with the optical heart rate as the watch remains in place, but also I have found it to be more secure than other watches such as the Garmin Forerunner 235, where the strap has to be done up very tightly to ensure the watch doesn’t slide up and down your wrist when sweaty. As for the overall size of the watch, I had to adopt the DC Rainmaker-esque rolling pin size comparison method – it really is the easiest way! Here, I have lined up from left to right: Garmin Forerunner 10, Garmin Forerunner 235, TomTom Spark 3, Garmin Forerunner 405. 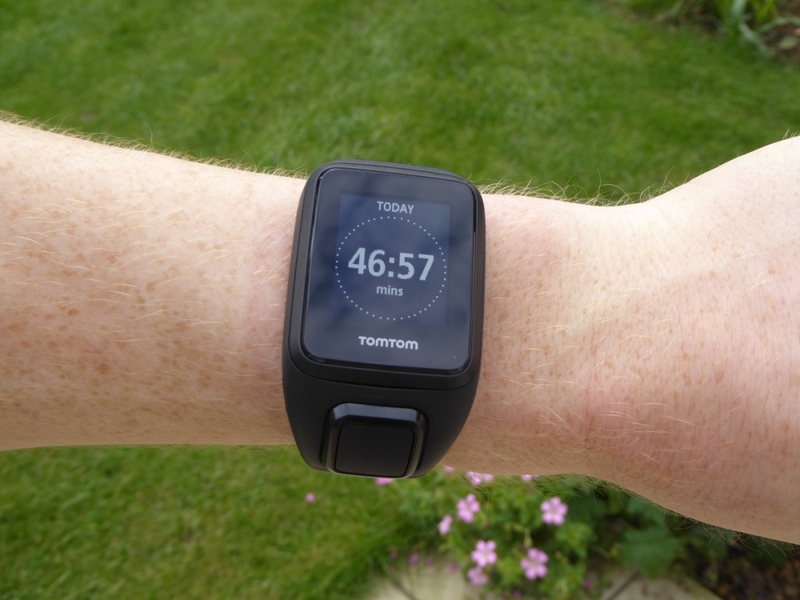 From the comparison, it can be seen that the TomTom Spark 3 is roughly the same size as the latest running based mid-range watch from Garmin, the Forerunner 235. The screen on the Spark 3 is smaller along with the pod being larger on the whole with the extra curved section for the control panel. In terms of how they look, both have been designed with a look towards being worn 24/7 as an all day watch. 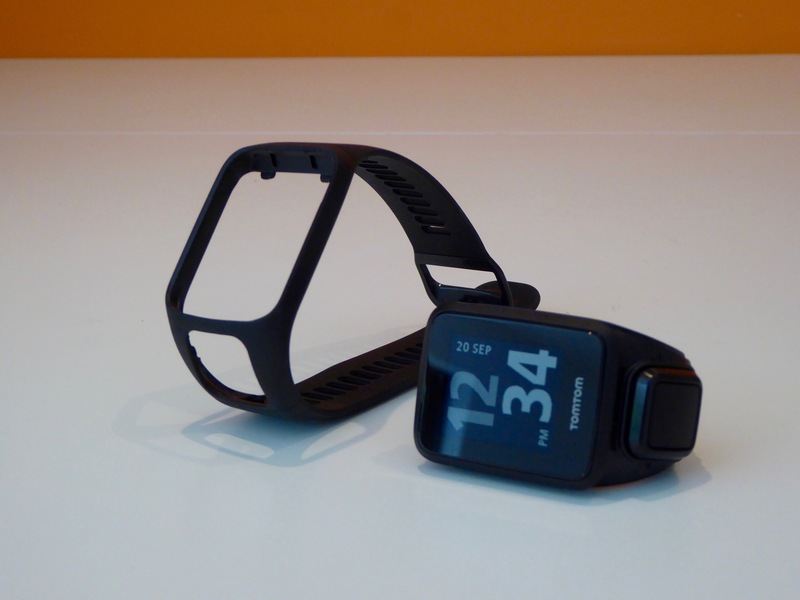 Garmin’s watch for me is a little more discrete with a smaller band but the TomTom Spark 3 is not too far behind despite being a little more bulky. 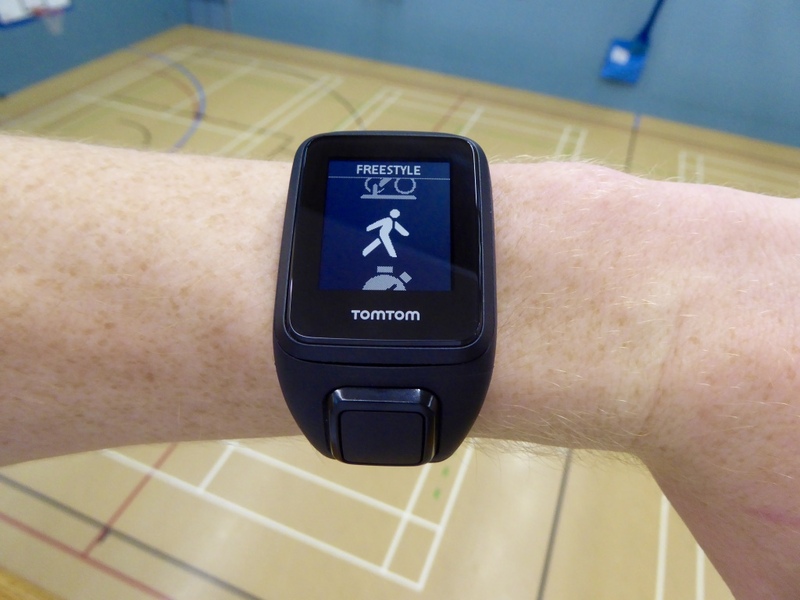 Before I get going with using the watch for fitness activities, you would most likely want to do a quick setup with TomTom’s new and improved online service of TomTom MySports. This online platform for viewing and analysing activities has been significantly improved over the years by TomTom, branching onto a mobile app as well, but more will be talked about that later. Having first unboxed your watch, and connected it to your computer via the USB charging cable, register the device and just follow the instructions on the TomTom ‘Getting Started’ website. 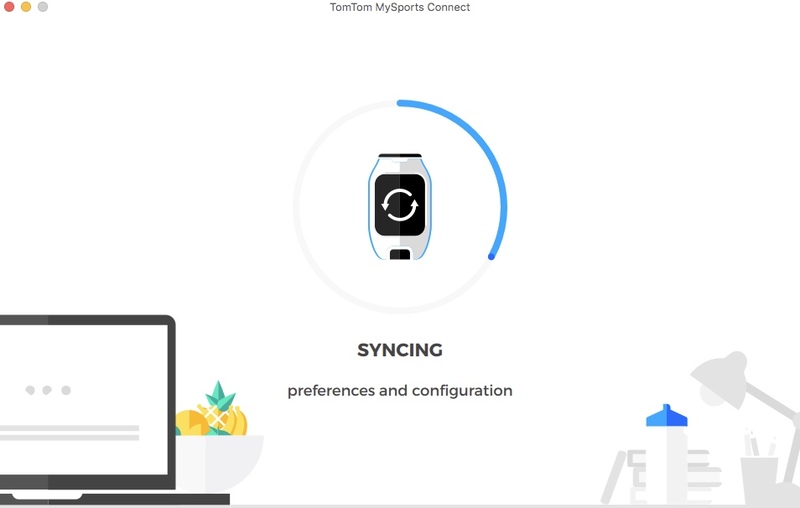 This will prompt you to download the TomTom MySports Connect Application which will allow for your activities to be synched to MySports. 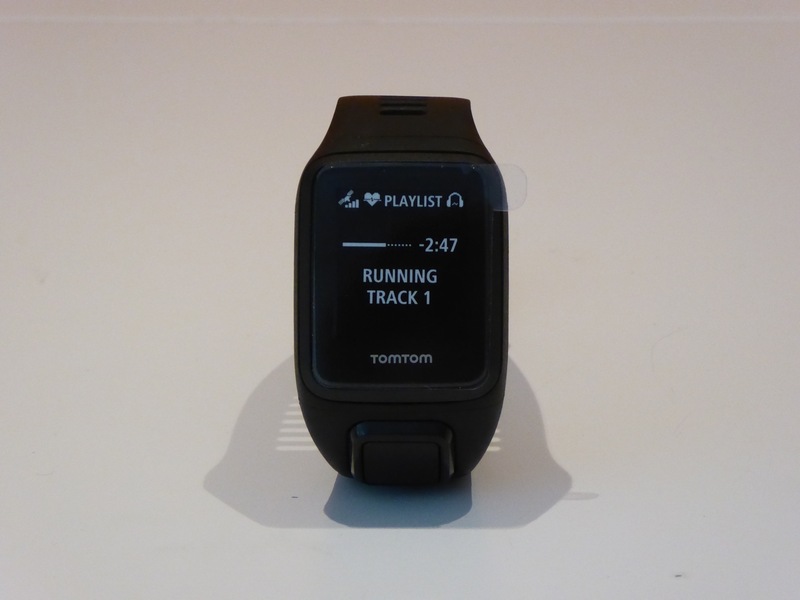 One of the biggest selling points of the TomTom Spark line of watches is the ability to store music on the watch itself. This means that you no longer have to run with your annoying arm strap or carry your phone in your hand. The TomTom Spark 3 Music editions come with 3GB of inbuilt storage which TomTom say is roughly equivalent to 500 songs (depending on file size). If you are a music lover and have a wide collection of music over 500 songs you will see that it is very easy to chop and change the songs which you have synched to the watch. 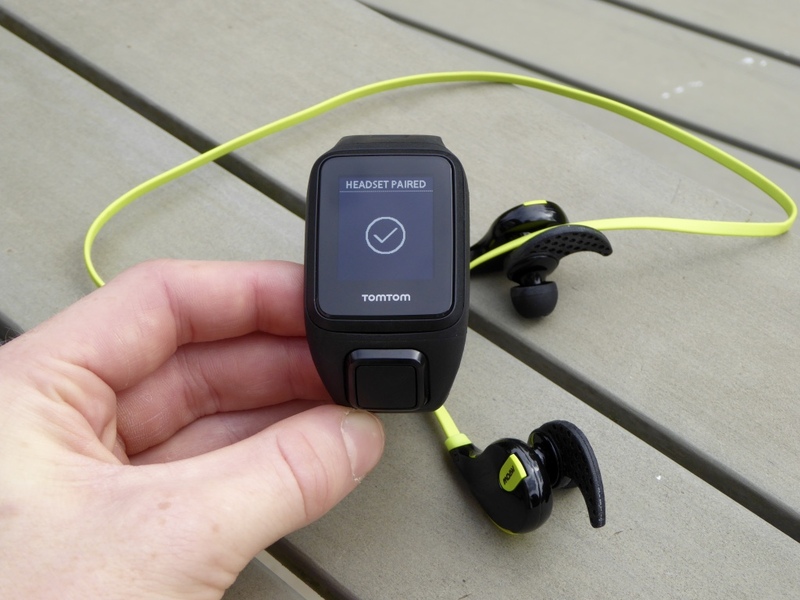 The TomTom Spark 3 also allows for Bluetooth music playback straight from the watch to a pair of Bluetooth earphones. This means that there is no inbuilt headphone jack for everyday earphones; you will have to buy the ‘Music’ edition of the TomTom Spark 3 which includes TomTom’s own Bluetooth earphones or have your own pair to use. 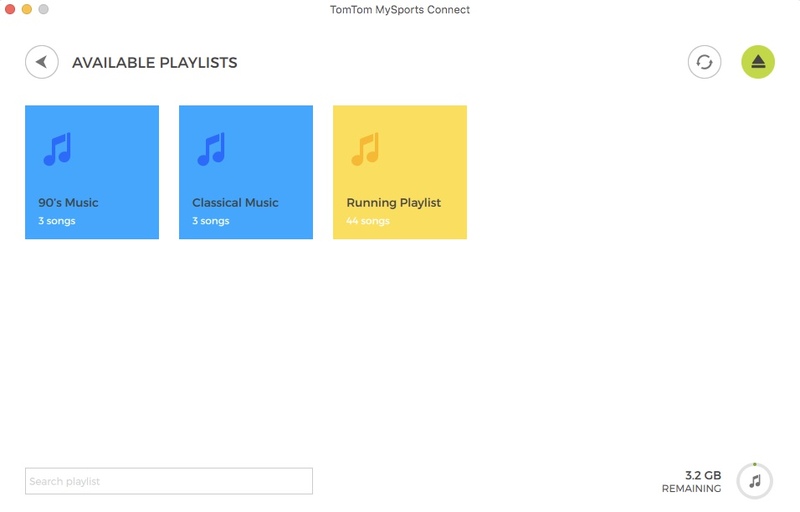 Transferring the music on your computer onto the TomTom Spark 3 is very easy and is done through the TomTom MySports Connect App which you’ll have downloaded upon setup. By clicking on the music icon in the top right hand corner of the MySports Connect app, this will bring up all of your saved music playlists on your computer, including those set up through platforms like iTunes. It is then as easy as pressing the ‘Add to Watch’ button and they will be transferred to the watch. The one downfall of the music storage feature is the fact that you are only able to transfer saved music files e.g. those on iTunes to the watch. As there is no way of saving the songs off music streaming services such as Spotify, you cannot add these to your device, even if you have a paid subscription. This would be a nice feature to see in later versions of the watch, albeit a challenge. Once the music is stored on the watch, you can connect your Bluetooth earphones by simply pressing up on the control panel. This will search for the earphones and connect automatically. It is as easy as that. The music will start to automatically play, but you can edit what you listen to during your workout in the settings of the activity page; you can choose to listen to individual playlists and alter whether the music is played in order or shuffled. 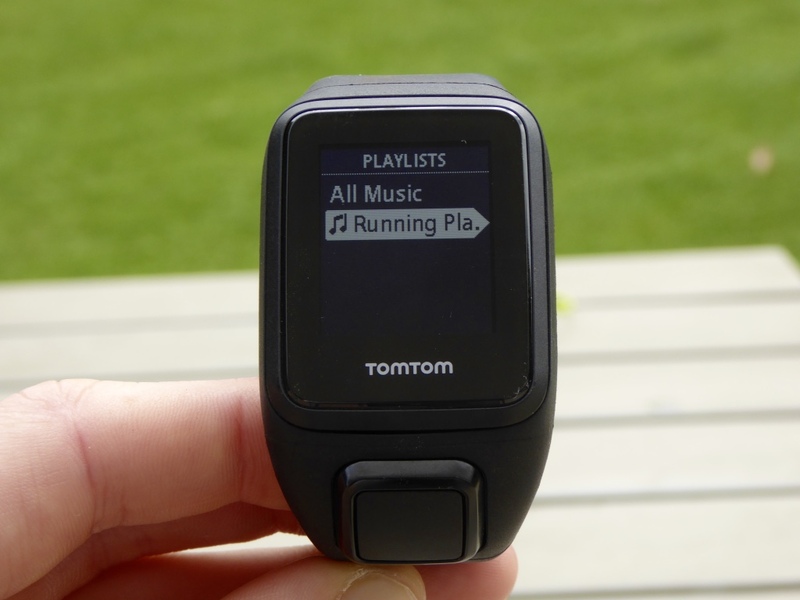 I found that using the Bluetooth music playback feature when in an activity was very useful for eliminating the need to run with a phone, a definite selling point for the TomTom Spark 3 Music. The sound quality is highly dependent upon the Bluetooth earphones that you own. I was using the Mpow Swift Bluetooth headphones which has decent enough sound quality and I had no issues with any Bluetooth dropouts throughout any of my runs. It must be noted that the Bluetooth music playback is not enabled when swimming, despite the ability to use waterproof earphones such as these. 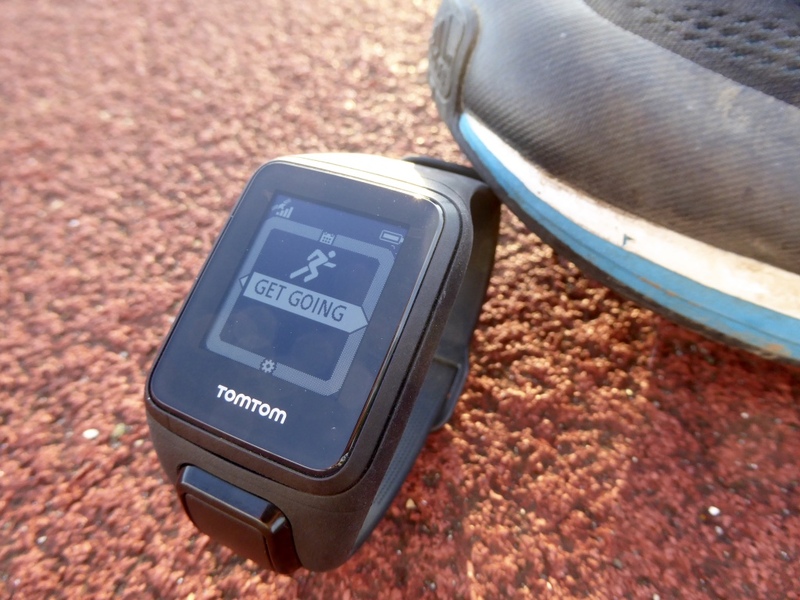 Despite the TomTom Spark 3 being a multisport watch with a range of other activity tracking capabilities, it was initially and still is primarily a GPS running watch. To select your ‘Activity Mode’ press right from the home screen, and then select Run. Next the Spark 3 will connect to the satellites and find a fixed heart rate from the optical heart rate sensor on the back or an optional strap. Once GPS has been found, the watch will vibrate and display ‘Get Going’ indicating that you are ready to run. Press to the right again and your activity will begin. 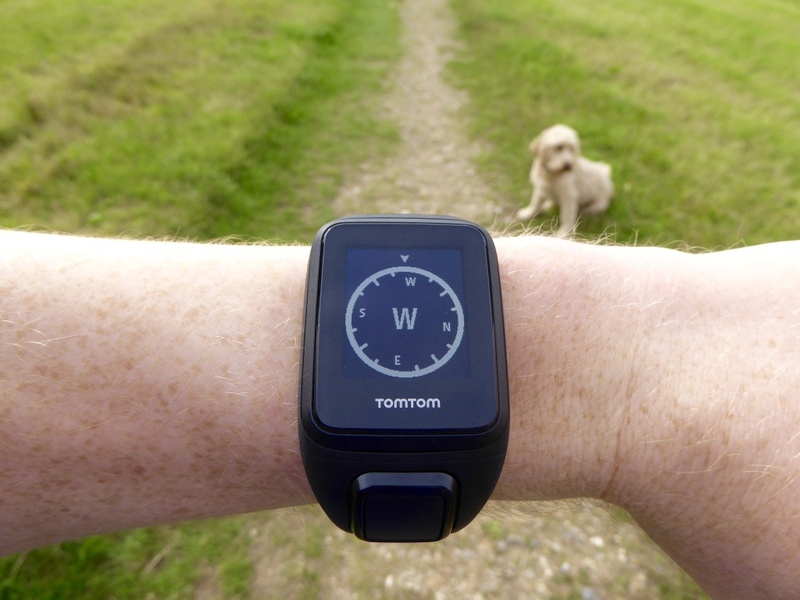 TomTom have their own ‘QuickGPS’ system which allows the watch to connect to satellites very quickly and I have found this to never be an issue, connecting in under 10 seconds, significantly quicker than my Garmin Forerunner 235. For me, the lack of adjustable data screens with a greater range of metrics is a shame and means the Spark 3 loses out here to its mid-range competitors. Especially with the lack of a ‘Lap Time’ metric which significantly helps in interval workouts which are not pre-programmed on the watch. Goals – Running to complete a set distance, time or number of calories. Intervals – You can program your own interval sessions of either time or distance on the watch itself, including warm up and cool downs. Laps – These can be automatic after a given time or distance or manually lapped. Note: To set a manual lap you have to place two fingers over the screen (similar to the Nike+ SportWatch), this can be tricky and not as smooth as a physical button. 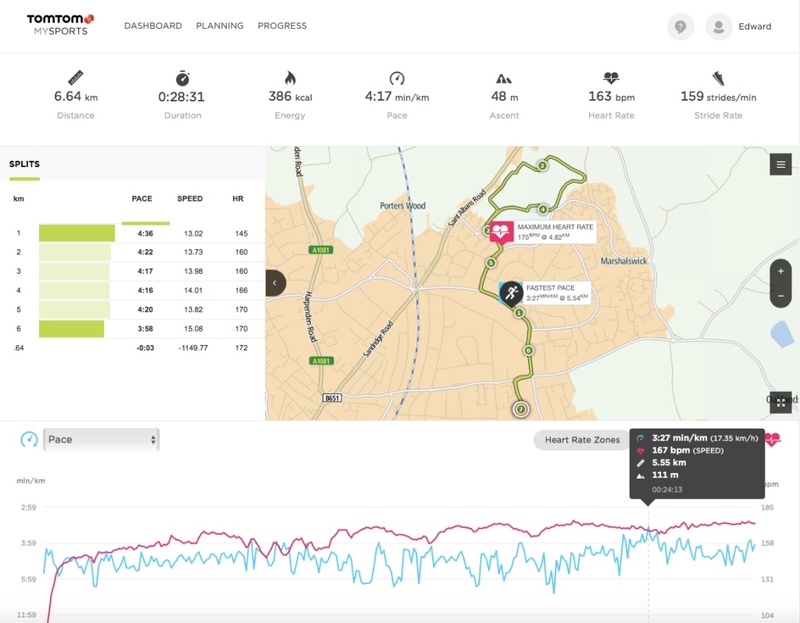 Zones – Allows you to make sure you run within a given pace, speed or heart rate zone. 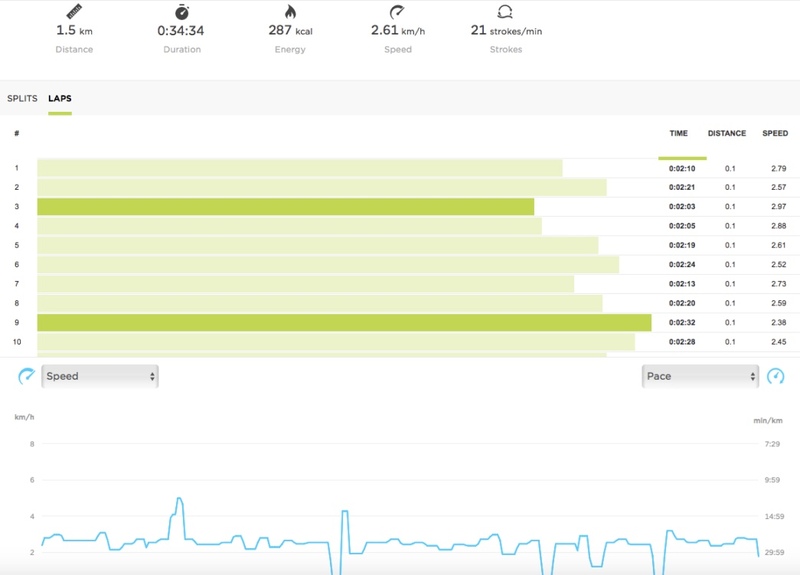 Over the last few weeks of using and testing the watch, I have used it for long runs, easy jogs, interval workouts and treadmill runs using the ‘Treadmill’ activity mode. When using the TomTom Spark 3 on normal runs around the streets, through parks and wooded areas, the results from the GPS accuracy were good but not amazingly accurate I would say. On one run mapped at 6.71km on MapMyRun, the TomTom Spark 3 faired well, accurately tracking the places where I had crossed roads and moved around objects. 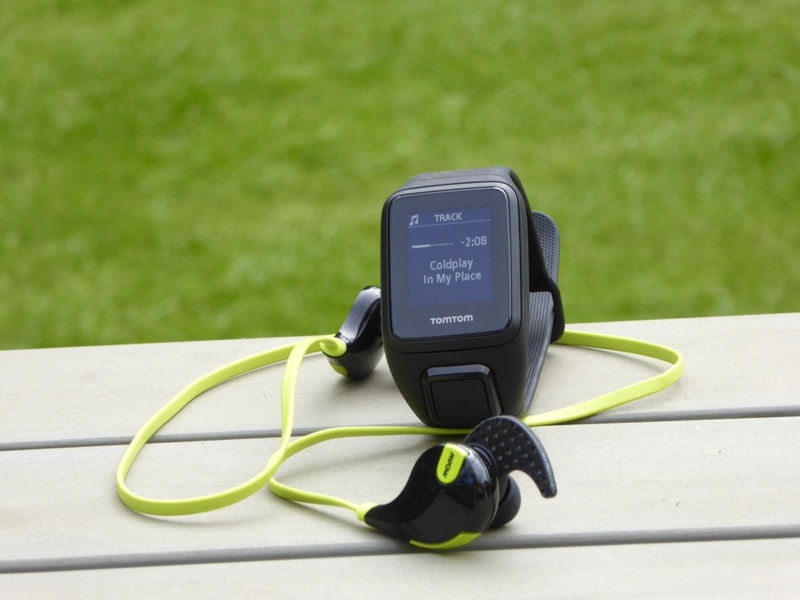 Here, the TomTom Spark 3 recorded a distance of 6.64km, whereas the Forerunner 235 recorded a great 6.70km. This is only a 0.90% difference, far from a deal breaker for me. The same can be said for runs in enclosed areas in parks and woodland. The GPS connection remained strong throughout and tracked fairly accurately, although this one section, shown below struggled. Each loop was on exactly the same path, but varied slightly on each recorded loop, again nothing significant enough to choose not to run with this watch. Interval runs were recorded well on the track too. 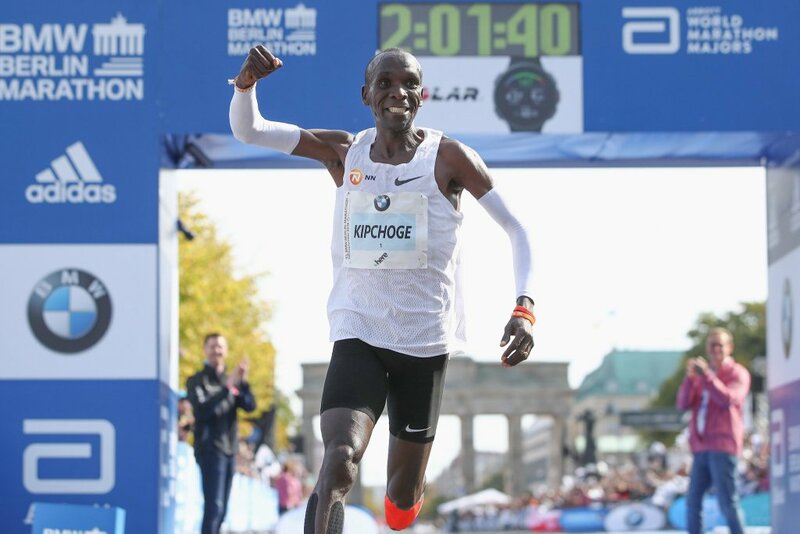 I have done sessions of 1km reps and 300m reps, where the distance was almost always spot on with the kilometre reps measured at 1.03km and 1.04km respectively. Overall on the GPS accuracy front, the TomTom Spark 3 was in line with almost all other GPS running watches on the market. Obviously they will never be 100% accurate in terms of distance tracked, but the Spark 3 more than held its own. Another quick thing to note was the instant pace which is displayed as a metric on the watch’s data screens. I was using this quite often to see the pace I was running at and it wasn’t always great, often showing a pace slower than I was running, but having the splits come up every mile for example was a good enough indicator. 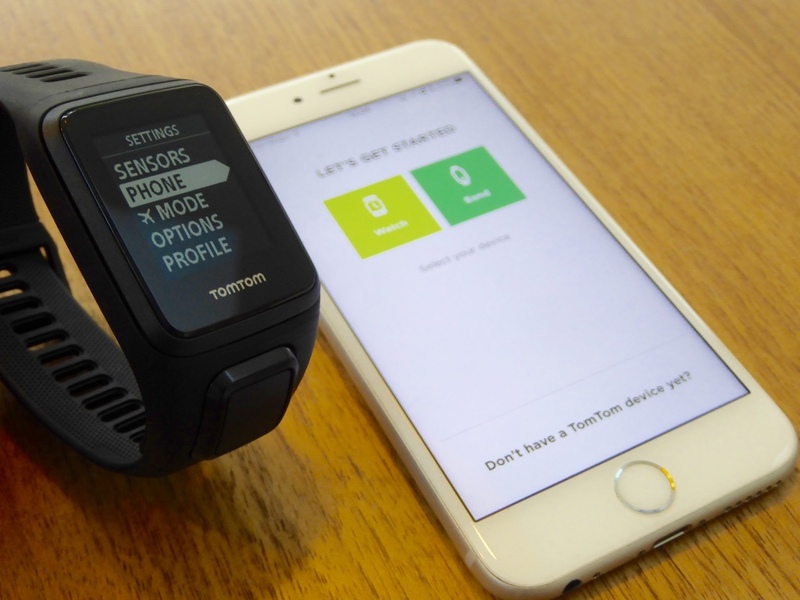 As well as running outdoors, the TomTom Spark 3 has an in-built accelerometer allowing for the watch to track your indoor workouts on a treadmill. This is as easy as going for any other run. You select the ‘Treadmill’ activity mode and start running on the treadmill; the TomTom Spark 3 will automatically start tracking your movements by your arm swing and give you real time pace, time and distance – in fact you get all the same metrics as any normal outdoors run. I found the accuracy of the accelerometer on treadmill runs to be quite out at the beginning, recording only 800m for example when the treadmill said over 1km. However, the watch takes time to learn about the way you run and needs calibration. This is done by adjusting the distance run on the watch after you have finished your run to say what the treadmill gives you. Although not all treadmills are very accurate on distance, they are a good enough indicator to help calibrate the watch for future runs. Almost every fitness watch or activity tracker nowadays has an in-built optical heart rate monitor and the TomTom Spark 3 is no exception. From my testing so far, it is without a doubt the best heart rate monitor that I have used, either heart rate strap or optical sensor – it is just great! TomTom don’t make their own sensors but use those of the company LifeQ. Here, the heart rate monitor uses an advanced multi-sensor system of both green and red LEDs to monitor heart rate. I personally believe that TomTom have done the correct thing to use a specialist heart rate company of LifeQ to implement their sensor into the Spark 3. This means that TomTom can focus on the GPS aspect, whilst LifeQ are specialists, making the best sensors possible. I have used the TomTom Spark 3 in numerous different scenarios which tasted the heart rate accuracy. This was very successful in all areas, from long runs, recording at a lower rate to interval sessions of much faster paces and higher heart rates. Longer runs gave equally impressive results as the intervals. I have yet to have any dropouts in the heart rate whilst running and it tracks accurately along the run, following trends of uphill and downhill efforts. 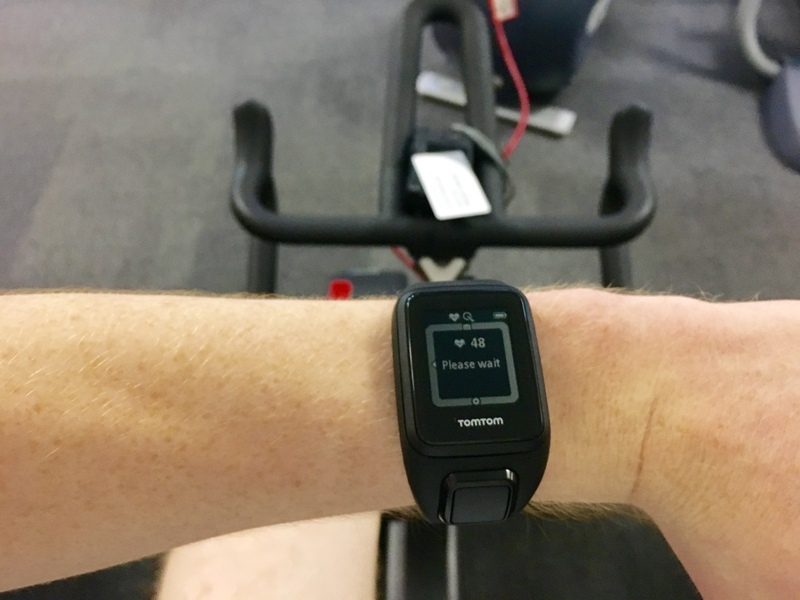 In this heart rate area I certainly believe that the TomTom Spark 3 is better than its predecessor of the Spark 2 and other competitors from both Suunto and Garmin. This is definitely one of the main reasons to buy this watch if you like heart rate accuracy and tracking, where zonal training and analysis is also available. Another stand out feature of the TomTom Spark 3 is the ability to take it swimming. The watch is waterproofed up to 5 ATM, 40m allowing you to take it diving if you so wish. Note: The Spark 3 does not record open water swimming with the use of GPS, but only works in pools. However, you can use the ‘Freestyle’ Activity mode to record in open water with mixed success. Read more about swimming with GPS fitness watches here. The Spark 3 has a specific ‘Swim’ mode which is just like any other sport mode on the watch. In the settings you can alter the pool size to the given length (e.g. 25m) and the watch will use this to record distance upon each length completed. 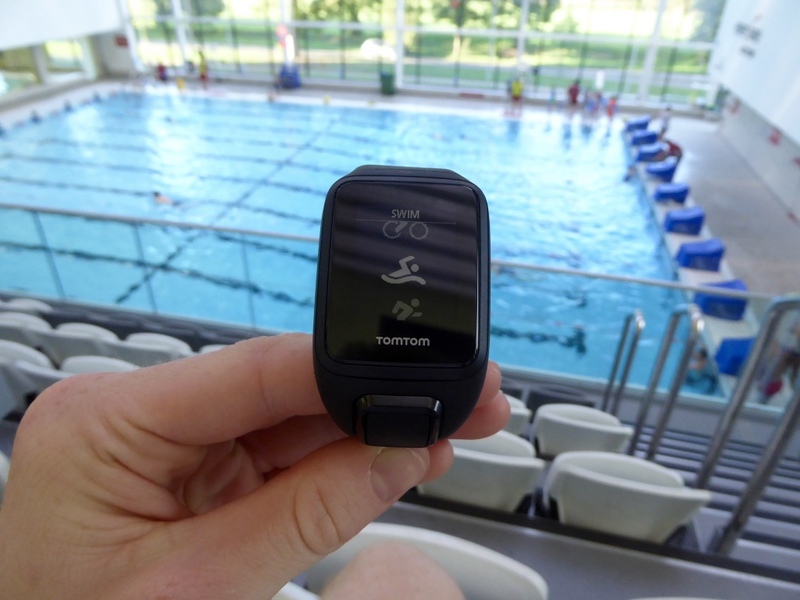 When swimming in a lapped pool, after pushing off the end after each length completed, the TomTom Spark 3 will notice the change in acceleration and record a length and you will be alerted by a vibration on your wrist. This feature of lapping each time you completed a length worked almost every single time for me without any problems, accurately tracking a 1,500m swim exactly. Personally I am not a very good/ fast swimmer but the watch catered for all of what most recreational swimmers would want. The only thing which is lacking at this point is the optical heart rate sensor. TomTom have yet to enable heart rate when swimming due to accuracy issues which is the same for almost all optical heart rate monitors in water. However, you can track your heart rate when using the watch in ‘Freestyle’ mode if you are after heart rate data more than anything else, but I am yet to try out this option. On the other hand, you can use an underwater heart rate strap such as Garmin’s HRM-SWIM. SWOLF is a specific swim metric which is ‘obtained by adding together your strokes per length, and the time for the length.’ You can read more about what SWOLF means here. 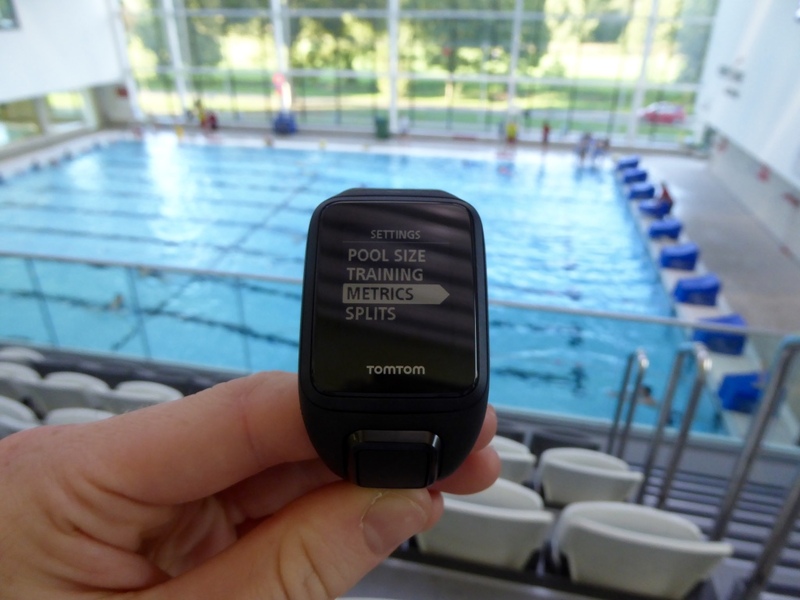 As a swim watch, I feel that the TomTom Spark 3 is very accomplished, accurate and comprehensive in giving most swimmers all the accurate data they would need to analyse their training. There are one or two more swim specific metrics which are missing such as stroke type but nothing which stops the Spark 3 being a useful swim training device. A final thing to add about swimming and other activity modes on the TomTom Spark 3 is that this is NOT a triathlon watch. 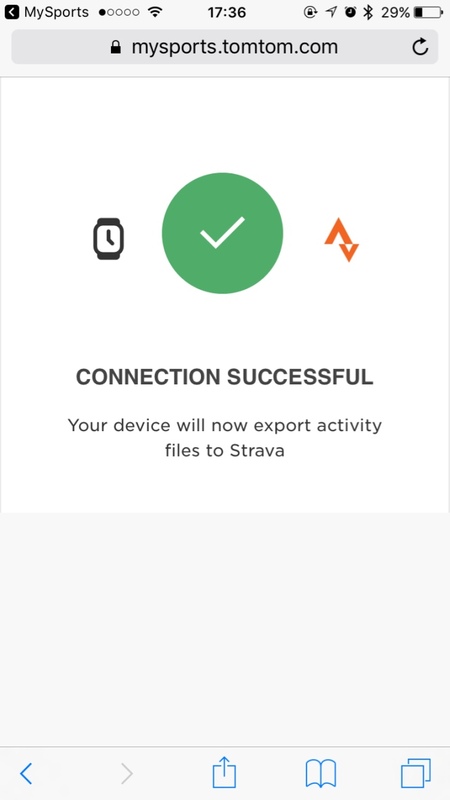 This means that there is no triathlon mode which will track all of swimming, cycling and running (along with transitions) all within one activity. This means that if you were to be competing in a triathlon, you would have to end each activity as you finish it and then start a new one in the different activity mode throughout. This is far from impossible, but not the most practical means of recording a triathlon. However, for training at least, when you do either, swimming, cycling or running individually, the watch is very capable and a great training device. The Spark 3 has a cycling mode which allows tracking of your cycling indoors and out, using either GPS or a speed/ cadence sensor respectively. To access the cycling mode, just press right from the home screen and then right again to acquire satellites. Before this, you can enter the settings for cycling so that you can configure your wheel size for better distance measurements. 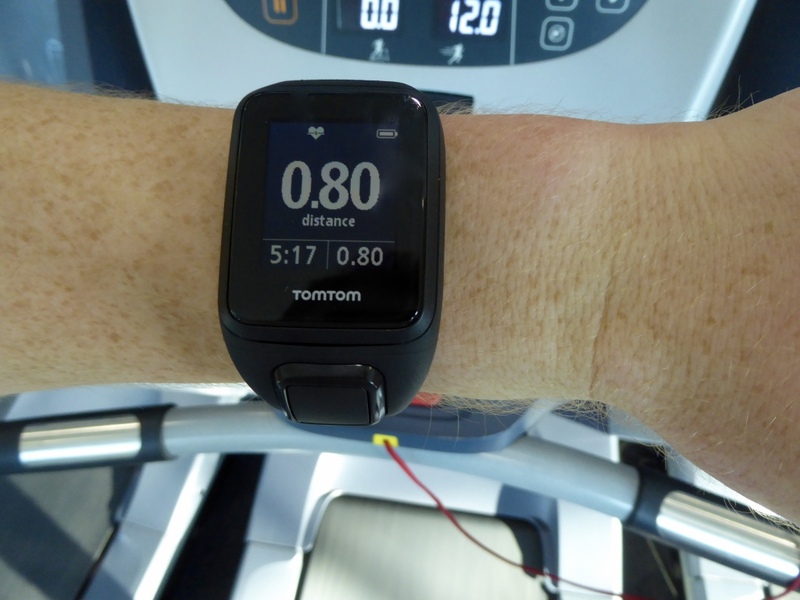 With older versions of the TomTom Spark line, wrist based heart rate was not as well recorded due to the lack of blow flow through your arms when cycling. However, throughout my testing of the TomTom Spark 3 there have yet to be any major issues seen with heart rate data being accurately recorded as it would be on a chest strap. When cycling, many find it easier to have the data displayed in front of them on the handlebars rather than on the wrist. In this case, it is probably best to invest in a mount which TomTom have a specific one for their Spark watches here. In the case that you use the Spark 3 in a mount when cycling, then you can no longer record heart rate on the wrist but you can connect an alternative chest strap in the settings. 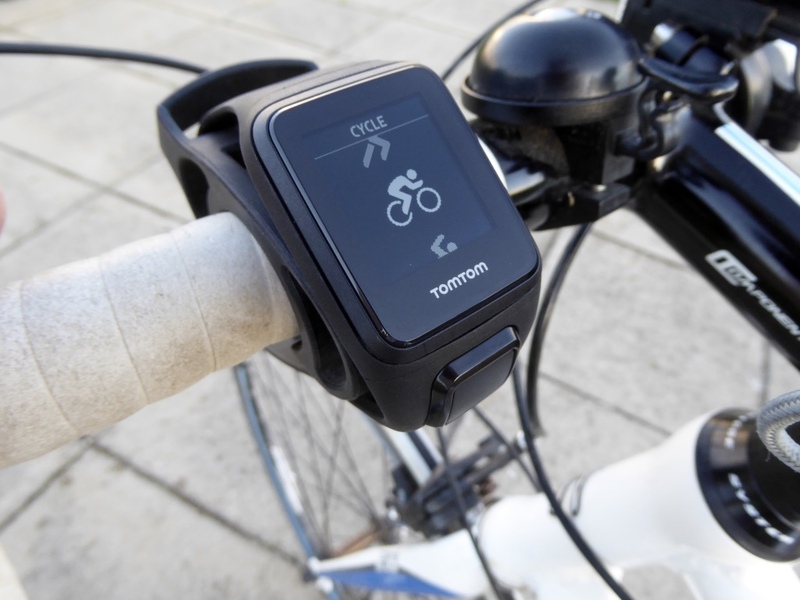 As well as cycling outdoors, the TomTom Spark 3 has the ability to connect to an additional bike speed sensor via Bluetooth. Annoyingly, the Spark 3 does not have ANT+ built in meaning it cannot connect to quite a few third party accessories here but there are wireless Bluetooth trainers which you can connect your Spark 3 to. You can connect to these sensors, including cadence sensors when riding outdoors with GPS, but the main connections are used when indoors to get the data from a stationary bike. Unfortunately I have yet to be able to test this feature as I only own an ANT+ speed/ cadence sensor. I also tried connecting the Spark 3 to a Wattbike at my local gym which does have Bluetooth capabilities but also had no luck there. 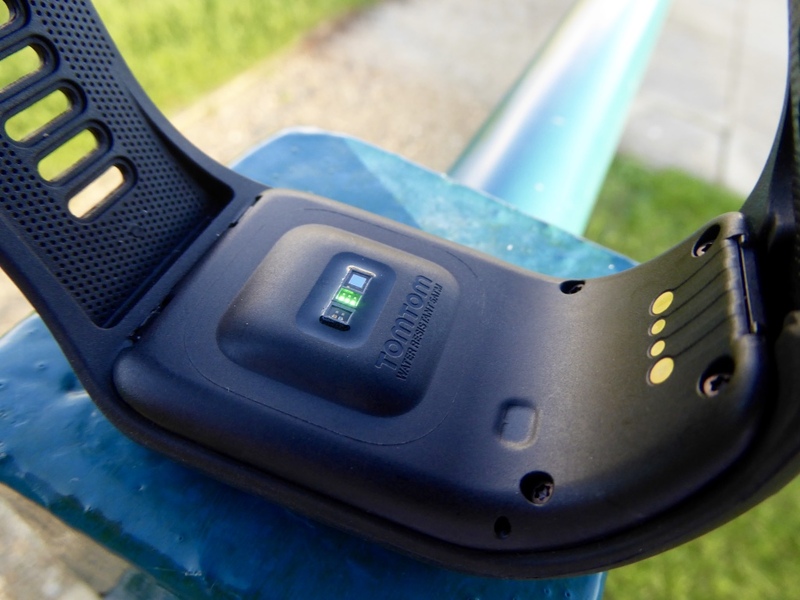 The TomTom Spark 3 acts as an activity tracker just like any other which you can buy. It measures the standard steps, distance, calories and sleep. Although I would have liked to see them be a bit more adventurous and add something a little different such as stairs climbed for example. With the number of steps tracked, of course it will track your daily number, but there is a big focus on your weekly totals rather than a daily goal which isn’t always easy to reach on some days. By pressing left on the control panel you get your daily view and then left again to see weekly totals. The accuracy of pedometers vary in a similar fashion to how the GPS data does; but on the whole all do the job to a high level of accuracy on the whole. I used the Garmin Vivosmart alongside the TomTom Spark 3 and got fairly even results on a day to day basis. 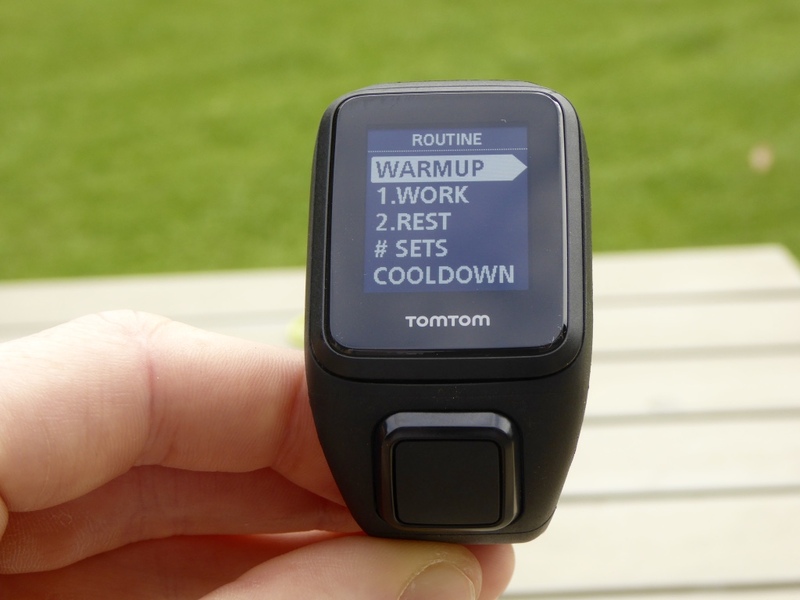 A cool feature of the TomTom Spark 3 is the focus on Activity Minutes. It is recommended that you complete at least 30 minutes of exercise each day. This is automatically tracked by the Spark 3 but is a good incentive to get moving. The next inevitable move for TomTom to take was to add 24/7 activity tracking and this is done in the new TomTom Spark 3. The optical sensor on the back of the watch is in action all throughout the day, monitoring how your heart rate varies at different times. This can then subsequently be viewed on TomTom MySports. If you want a more specific activity tracker, TomTom have also just announced a new product called the TomTom Touch available here. In terms of battery life, TomTom claim that the watch can last up to 11 hours in GPS mode and up to 3 weeks in activity tracking mode. The final feature to note about the activity tracking is the sleep tracking. 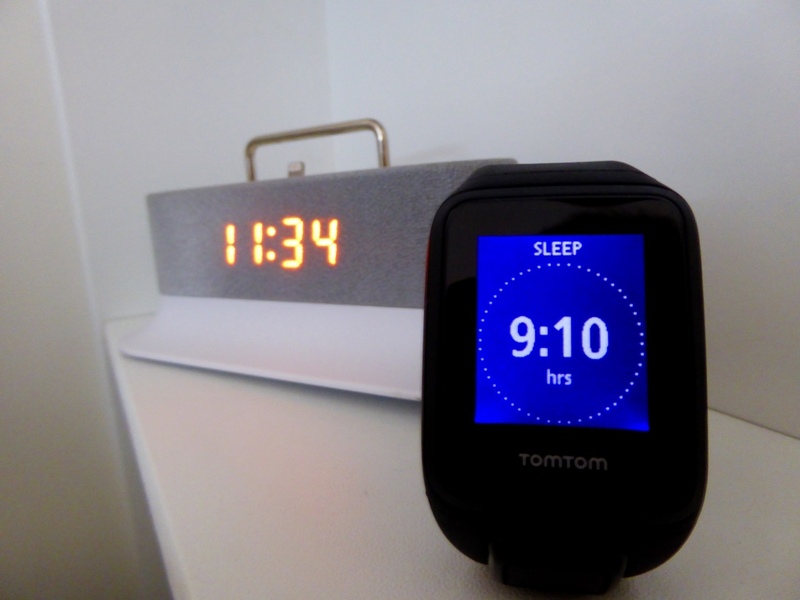 Here TomTom have been able to cleverly determine when your body has gone to sleep (I assume this is done via heart rate and movement) and tells the watch when you’re asleep. This means that the watch is able to determine how long you are asleep for without having to tell it when you are asleep or when you have awoken. 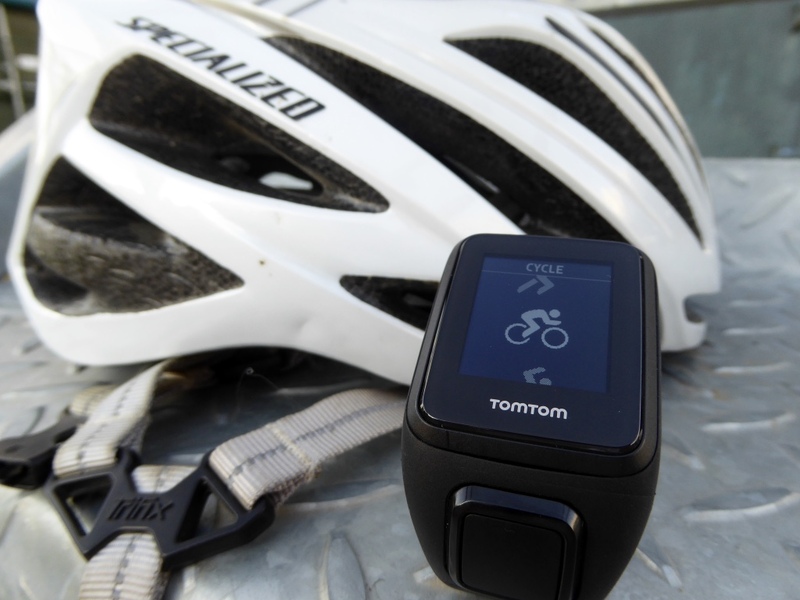 TomTom’s stand out addition to the new Spark 3 model is the Route Exploration feature. This comes hand in hand with a built in compass. Starting with the compass. This is a cool and easy feature to use that can show you the direction that you are travelling in. This is used as part of the Route Exploration feature or can be used by itself for other uses. To use the compass, go to Settings > Sensors > Compass. Here you will then be prompted to calibrate the compass by manually rotating the watch around in the air. To make sure that the compass is as accurate as possible for using as part of your Trails, it is important to calibrate the compass as often as possible. Once the compass has been calibrated, you are able to successfully use the new Route Exploration feature which is found through ‘Trails’ in the Settings of the activity modes of Run, Cycle and Freestyle. The Freestyle activity mode would be the most likely used mode for walking/ hiking when using the Trails feature. TomTom have branded this new feature as Route Exploration but these routes are known as Trails on the TomTom Spark 3, where you then follow on the watch itself what is known as a ‘Breadcrumb Trail’ which is the path of your route. 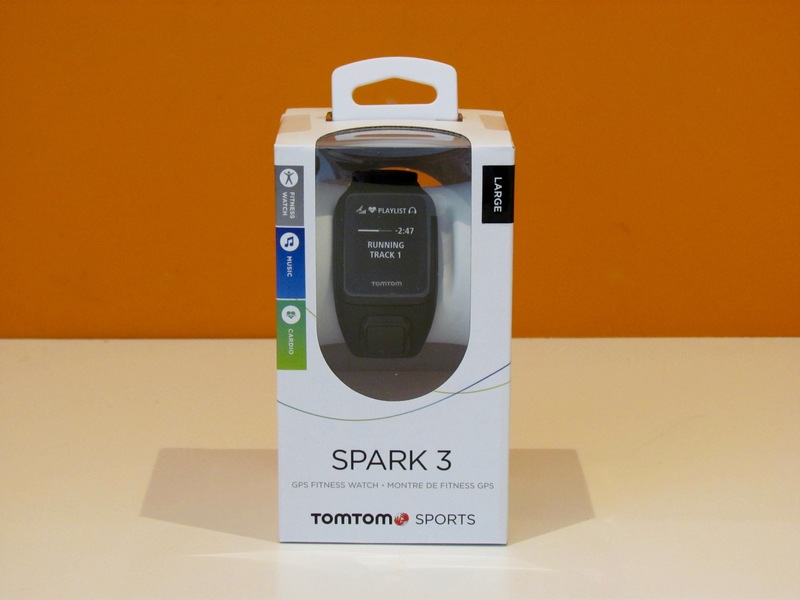 To get a route onto your TomTom Spark 3 you have to upload it through the MySports website. These routes that you upload onto the watch can come from two different sources; first of these is a past activity that you have recorded on the watch already. Having done a run or other activity on the watch, you can subsequently make this into a trail which you can then follow again. 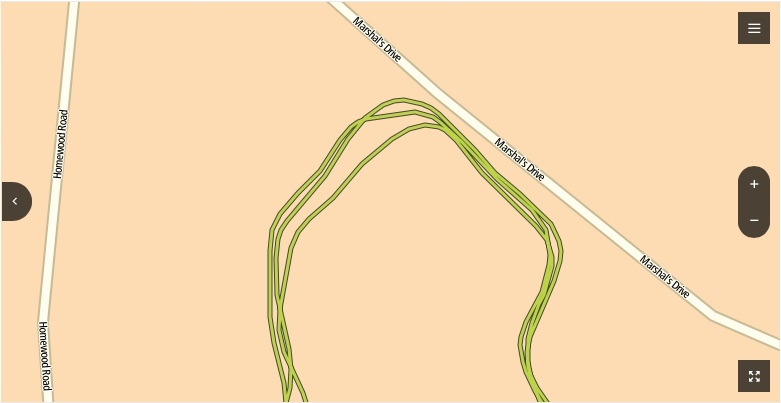 To create this trail from MySports, you click on ‘Copy to Trails.’ These copied trails can then be uploaded to your TomTom Spark 3 via the Planning section of MySports. As well as copying an already completed route to your trails, you can upload other routes via a .GPX file. 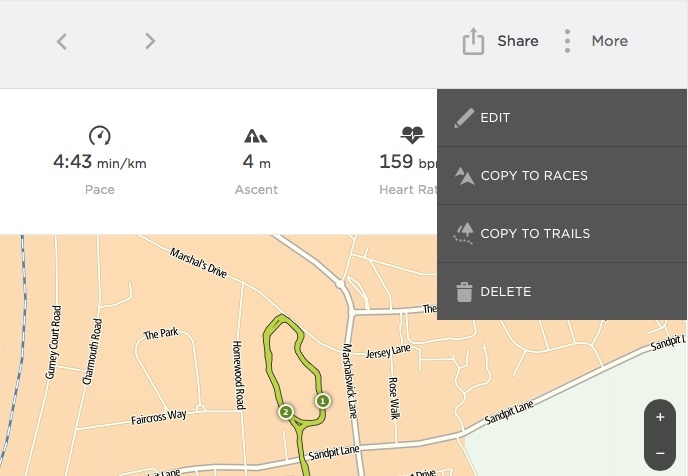 This can be done by making your own route manually on a third party website such as MapMyRun.com and then download the .GPX file; or just download a previous route on another watch as a .GPX file. 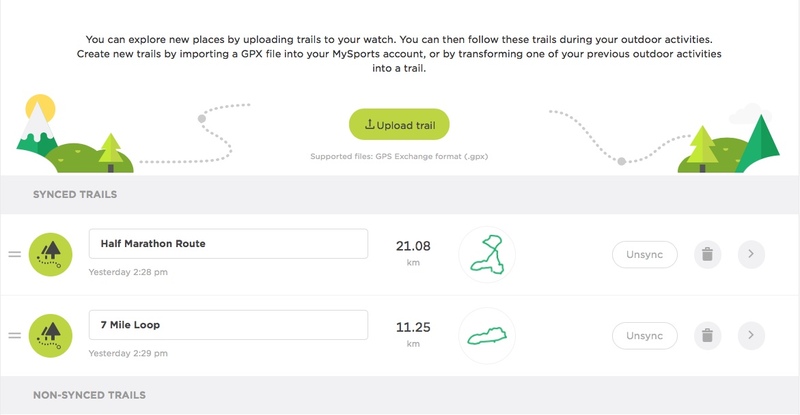 Once you have downloaded the .GPX file, you then go to Planning in MySports and click on ‘Upload Trail’ where you then select the file to upload. 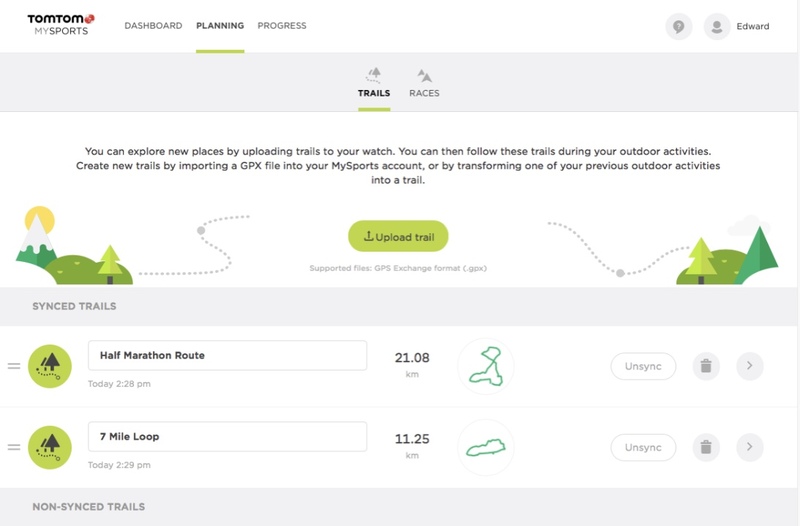 The next time your TomTom Spark 3 is connected via the MySports Connect App these trails will be automatically synced onto the watch to follow on your workouts. Once you’ve selected trails in the activity mode, you are then ready to start the workout/ route by pressing to the right as you would any other time to start an activity. Here you’ll be taken straight to the trail view where you can zoom into a 400m wide section by pressing right again. Here you can follow the trail as you would do so on a map, having an arrow showing your position and direction you are facing. This makes it easy to know when to turn and what direction to follow. This is also made easier by the addition of the compass when you press up on the control panel. Throughout my testing I found this Route Exploration feature very good and extremely accurate in the way it showed whether you were on or off the path you were meant to be following. This meant that if you took a wrong turn you could easily retrace your steps or join back in the path if you veered in the wrong direction. There is still improvements to be made in the long run though to make this a game changer in terms of following routes. I found that it was brilliant when walking as you could take time to work out your direction and turns. However, when running it is hard to focus on your directions and positions in terms of the map whilst moving quicker and running. Therefore an addition vibration alert if you go too far stray would be useful along with possible audio feedback via the Bluetooth headphones with directions would be a great extra feature. On the whole this addition of Route Exploration is a really useful addition for those who like to try out new routes and places, and is especially good when hiking or waking. One of the biggest updates and overhauls carried out by TomTom in the recent years has been to their online MySports platform. 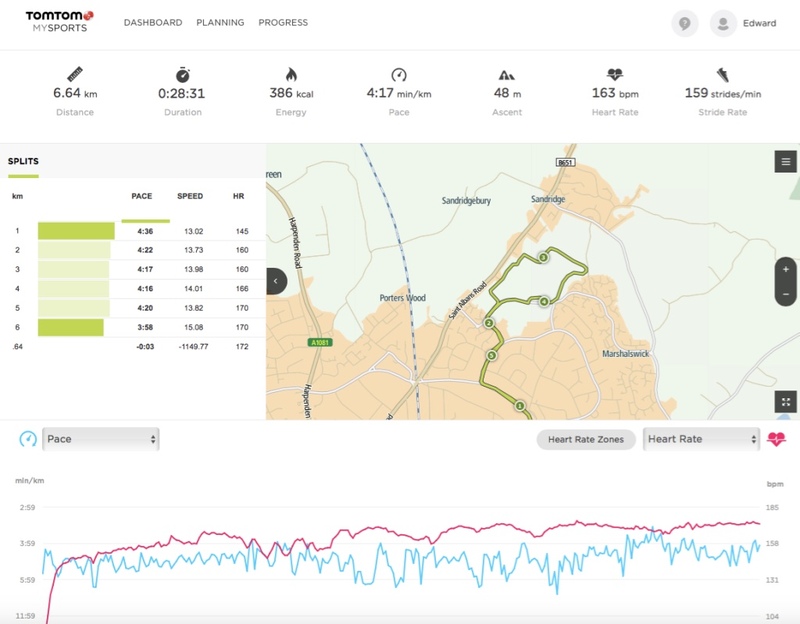 They moved away from the MapMyFitness hosted site a few years ago, developing their own software, online and mobile applications to make data analysis from the TomTom Spark and Touch lines more accessible. The site and app have been improved with each new product introduced by TomTom. For the Spark 2 the mobile app and online site were far from as slick and comprehensive as they are now. Personally, I have found that TomTom’s MySports service has actually been better than that of Strava and in some areas Garmin also. 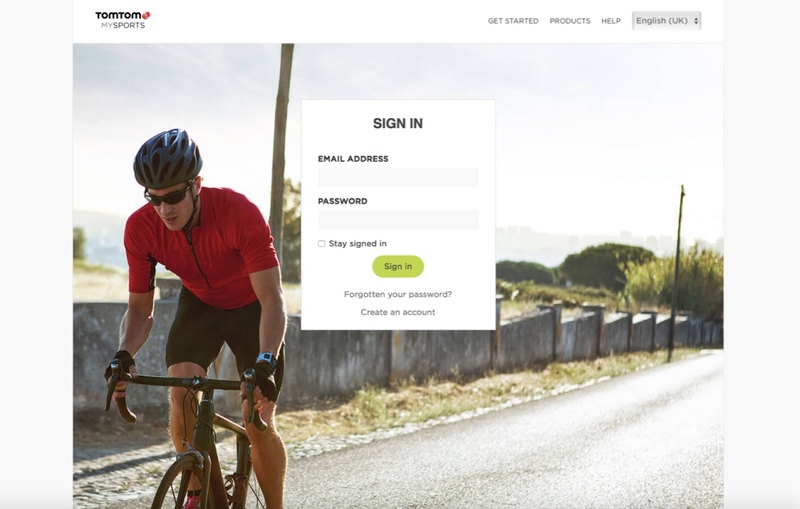 There are less data points for analysis and less features than there are available on Garmin Connect, but the MySports website is very easy to use, reliable and has a clean design that makes it very user friendly. Firstly, I will start with the MySports online site. 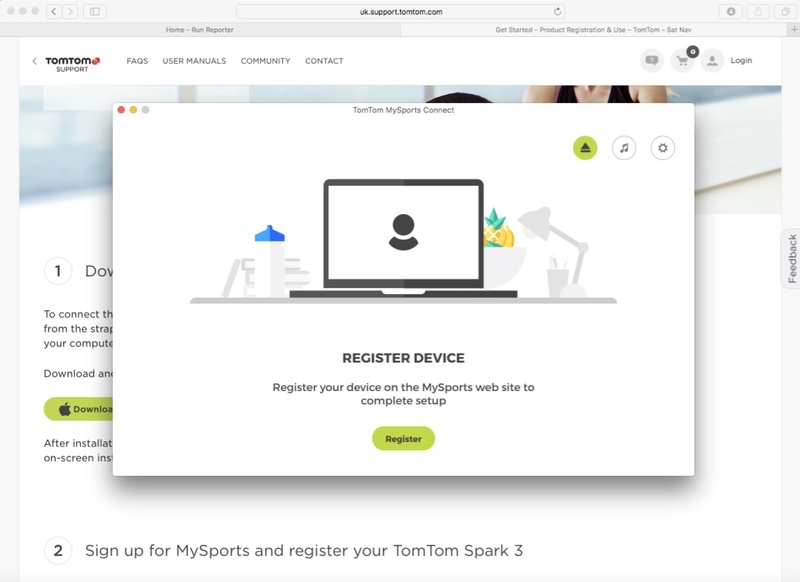 To download the data off your TomTom Spark 3 onto the website, all you have to do it connect it via the USB charging cable where the TomTom MySports Connect application will automatically open and upload your data. Once fully downloaded, the activity will then automatically open in a new tab on your browser giving you instant access to your data. Here you can edit the name of the workout along with time and distance if they are slightly out. The MySports platform is very easy to use, there are only three main sections: Dashboard, Planning and Progress. The Dashboard displays all of your activities in chronological order, giving you only the bare details. On the right hand side is a list of your lifetime totals along with your distance goals at the top. Note: These distances include all activity of walking, running, cycling and swimming. Next up is the Planning section which I previously covered when talking about the Route Exploration features. Here is where you upload routes and trails to your TomTom Spark 3 along with races which you can then go head to head against on your watch in ‘Race’ mode. These can be synched with the watch right from the MySports site. 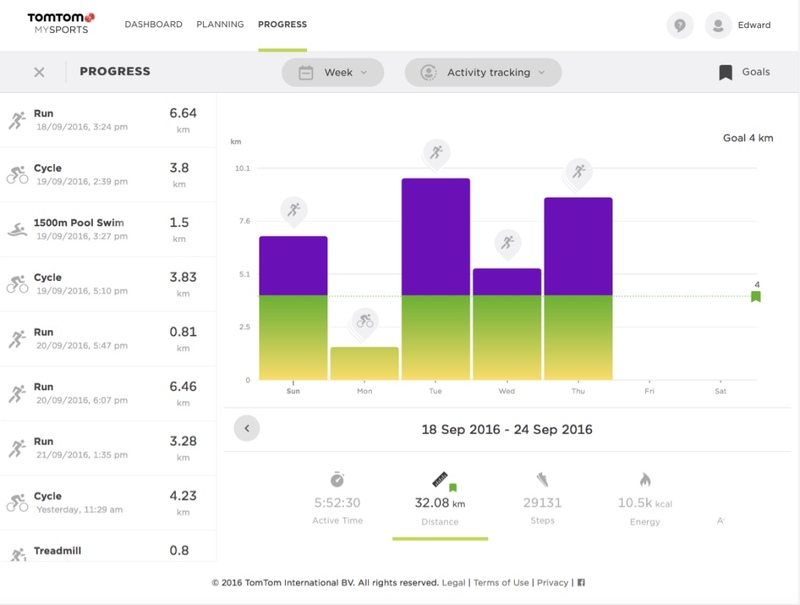 Finally, in the ‘Progress’ section you can view all of your calmative activity data across all sports and time periods. This is a nice and easy way to view and achieve goals which can also be created and added from this page. The TomTom MySports Mobile App is equally easy to use as it is pretty much exactly the same but just in a mobile format. To pair your phone with the MySports App turn Bluetooth on on your phone with the MySports App open. Then go to Settings > Phone > Pair New and let the two connect by entering the code once the watch has been found by your phone. From here onwards you have all the same options and functionalities as you had on the website. Instead of having to plug the watch into the computer for each sync, the mobile app allows you to easily download your activities to MySports via Bluetooth. 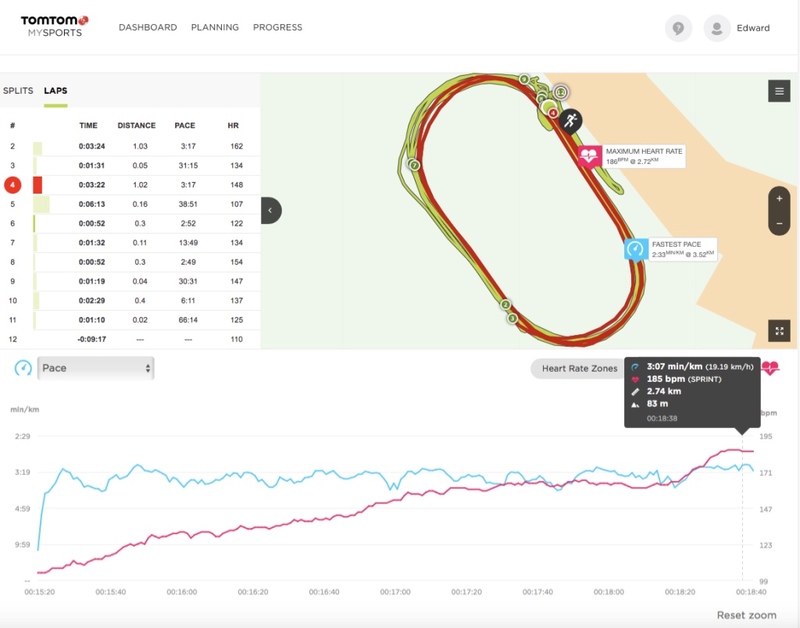 Finally, you can connect your TomTom MySports account to other fitness analysis platforms such as Strava and Nike+. This can be done via Account > Apps & Exporting and then connecting to your platform of choice that you have an account with. 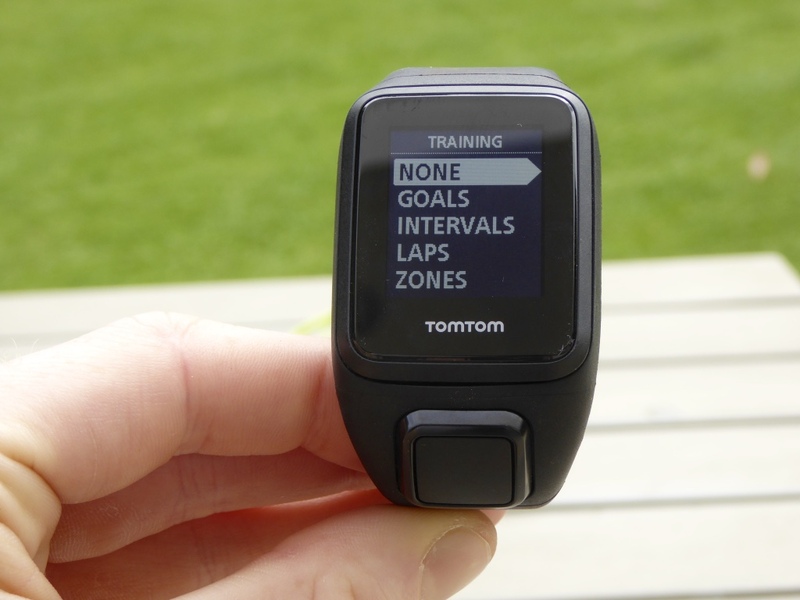 The changes that have been made to the TomTom Spark 3 over its predecessor are not huge but every addition made helps it stand out and secure itself as a great mid-range GPS fitness watch. The Route Exploration feature is the biggest of the new additions, allowing you to run new routes without getting lost, but for me, this isn’t a feature which will attract huge amounts of new customers but still contributes to making this watch great value for money. Personally, I believe that the optical heart rate sensor here on the TomTom Spark 3 is the best that I have used and is very accurate across a range of activities. This for me would be the number one reason to buy this watch over another as it is a refined version of an already great watch of the Spark 2. As well as a great optical heart rate monitor, the ability to have multi-sport tracking is great, making this a watch which is attractive to many, from triathletes to runners to just people who want to get fit using the gym settings. On top of all of this, more than anything I feel that it is great value for money. You get to eliminate the need to run with your phone with the Music edition and gain the ability to run, swim and cycle all in one. With the additions of Route Exploration and a great heart rate monitor this is an overall great mid range watch without the need for all the extra fancy metrics. If you have any questions on something that I have or haven’t covered I’m more than happy to help out in the comments below. 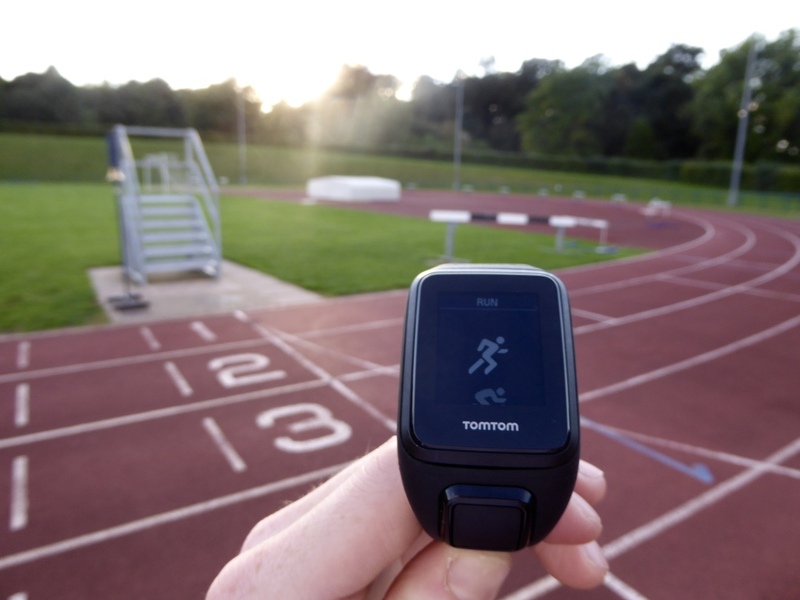 All models of the TomTom Spark 3 (Runner 3) are now available on Amazon. Hi there, do the music part also holds settings for treble and bass, or an euqalizer? There are unfortunately no settings built into the watch to alter the sound quality and style. The Spark 3 only has the ability to playback the same music which you have strep onto it. You are likely to get better results in terms of music quality depending upon the type of bluetooth earphones which you are using. I hope this is of some help. One more questuion regarding the music control! As I understand the various reviews I read so far, it is not possible on the watch to change to next number and the watch just folow the playlist as it was made in Itunes….so I am not able to swift to next song either by watch or by “next” on headphones? Wrong. You can pause and change tracks from the watch performing any exercise (or not) or changing from your headphones, if they have buttons to do so. I just called TomTom sales, and they said the Spark 3 does have GLONASS. Where did you get your information? Thank you for spotting this mistake. I have also checked this and you are correct that there is GLONASS built in. You are also the owner of Garmin FR 235. How do you compare the two models? 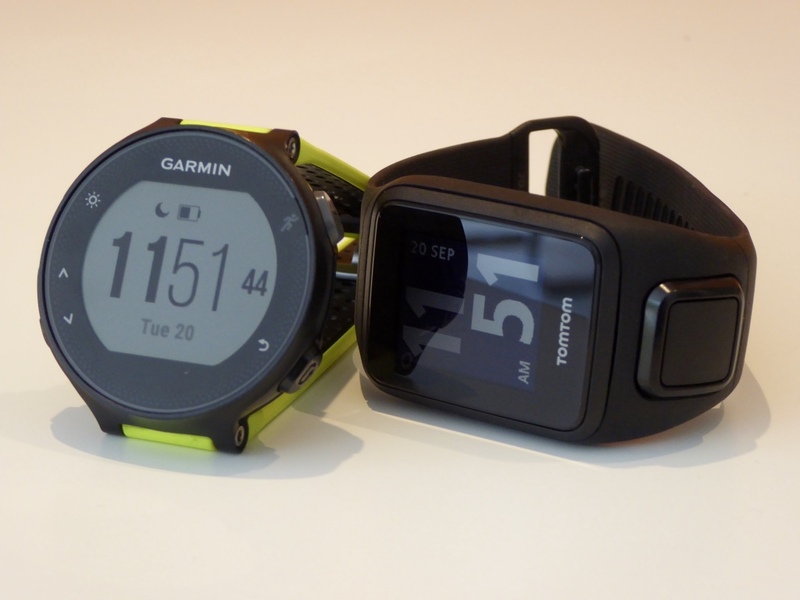 If before you had to choose right now what would you buy – Garmin FR 235 or TomTom Spark 3? Also, the ability of TomTom Spark 3 (Garmin FR 235) to work as a heart rate monitor and transmit data to Endomondo online, such as Mio Fuse. Having used both watches extensively I still believe that I would stick to the Garmin Forerunner 235, which is what I have done. This is due to a number of reasons, but mainly comes down to ease of use – regarding laps and data screens – with interval training, however this may not apply so heavily if you’re not doing as many interval sessions. 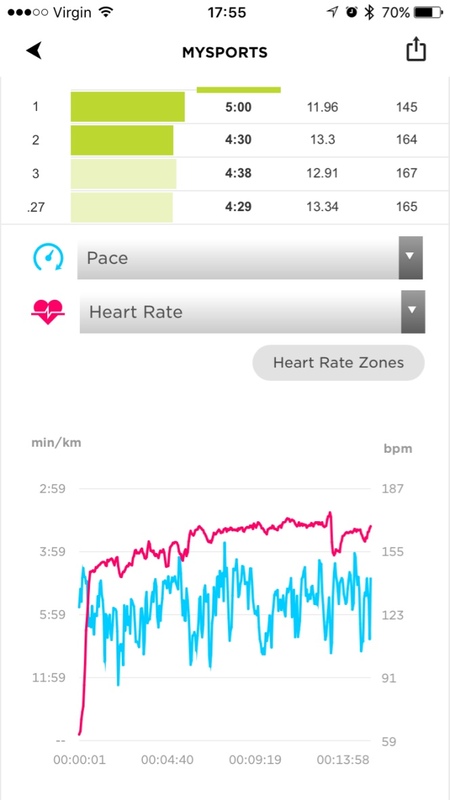 With the heart rate monitor, the Spark 3 has the advantage but the accuracy isn’t a major issue for me with the Forerunner 235 therefore isn’t a defining factor. You can use either the Spark 3 or the Forerunner 235 for data upload post workout, and in this case if this is the primary use of either watch then the Spark 3 would be of preference in terms of its accuracy. Does the 235 perform at least the same as the tomtom regarding route exploration? 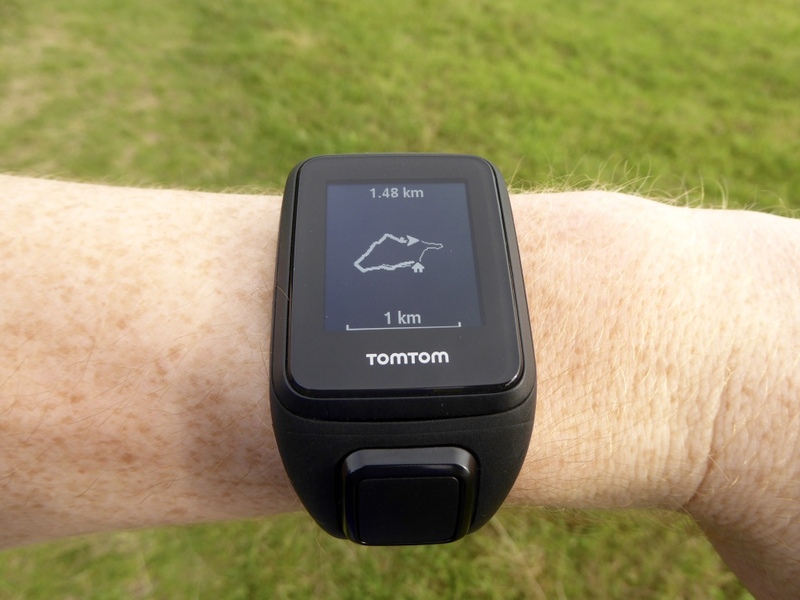 The Forerunner 235 does not work in the same way as the TomTom Spark 3 in terms of Route Exploration. This is fundamentally down to the fact that Garmin have not built in the option to download a saved route to follow onto the watch. However, you can save a location/ ‘waypoint’ and then during the activity you are able to navigate back to that waypoint using the built in compass. This will only show an arrow pointing towards that waypoint rather than displaying a map of the route as seen on the Spark 3. As well as saved waypoints you can also navigate ‘Back to Start’ on the Forerunner 235. Would you be able to find your way back to a car park for example if you were exploring new town and got lost ? First of all, when cycling outdoors the TomTom Spark 3 uses the same GPS that it uses for running. This GPS records every second along with the addition of GLONAS technology meaning I found it to be extremely accurate for both running and cycling. Regarding the use of the Route Exploration feature, you can only follow paths of pre saved routes meaning you would not be able to find your way back to a given place without uploading it to the watch previously unfortunately. Actually I disagree with that reply. i only got my watch a week ago, but found it already to do exactly what you want. It shows the route you have taken “breadcrumbs” and a right click zooms out to show the entire route. I successfully used it to navigate back to my hotel in a city I.d never been in before just by aiming for the start of the route – also shown as a house. Ideal. Thanks for the positive feedback. I agree that given the mid/high range of the Spark 3 it should have the hardware capabilities for running cadence. However, it is still not possible to get this data and hopefully will be available on future versions. Apologies for the lack of clarity in my reply – yes, you are correct that cadence is visible on MySports but you are also correct in saying that cadence is not visible during a run. Thanks for a detailed and informative review – very objective and well researched. Hello, thanks for a really helpful review! May I ask, are you aware of a similar watch that would notify you if you have made a wrong turn following an uploaded route? I agree that would be extremely helpful especially for mtb rides, and I am a little disappointed that the route exploration does not offer such function. Otherwise I have been sold to buy the TomTom Many thanks! Hi Tina! I am glad you found the review helpful. The new Garmin Fenix 5 (all models) offer a similar yet more advanced exploration and mapping feature to that of the Spark 3. This seems the watch for you as it notifies you when a change or direction is required (e.g. Going off course). 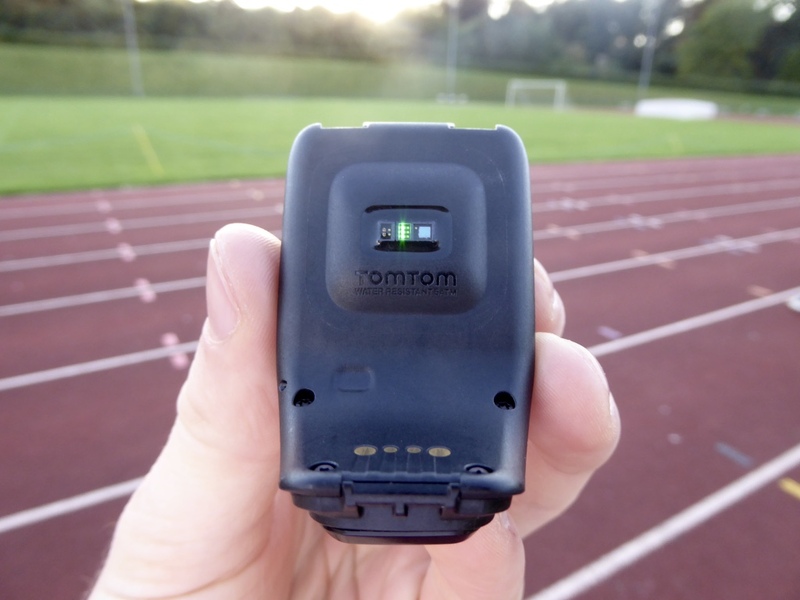 It is also much more advanced for tracking sports such as mountain biking, yet does come at a significantly greater cost than the TomTom Spark 3. I hope this is helpful. Apart from running and gym, I cycle a lot. If I was to put the watch into ‘cycle mode’ without the addition of the external cadence sensors, will it still track my speed and distance? [obviously wearing the watch and not mounting it on the bike mount]. I don’t want to buy the additionals, so is the watch able to do this stand-alone? Thanks for your positive comment! Yes, the watch will work absolutely fine without the additional sensors when cycling. When in the cycle mode it will track both your speed and distance. I hope this helps you. Will these be a good begginers-want to push intermediate running? I´m in the need of a bit more of motivation to really go tho the casual runner to a more 4-5 day runner. Given the great entry level price and quality of the GPS and Optical Heart Rate, I would definitely recommend the Spark 3 for a runner like yourself. I have a few other recommendations regarding the best running watch options for all levels here: https://runreporter.com/running-gear-reviews/best-gps-running-watch-2017/ – I hope this helps with your decision. Thanks for the great review. 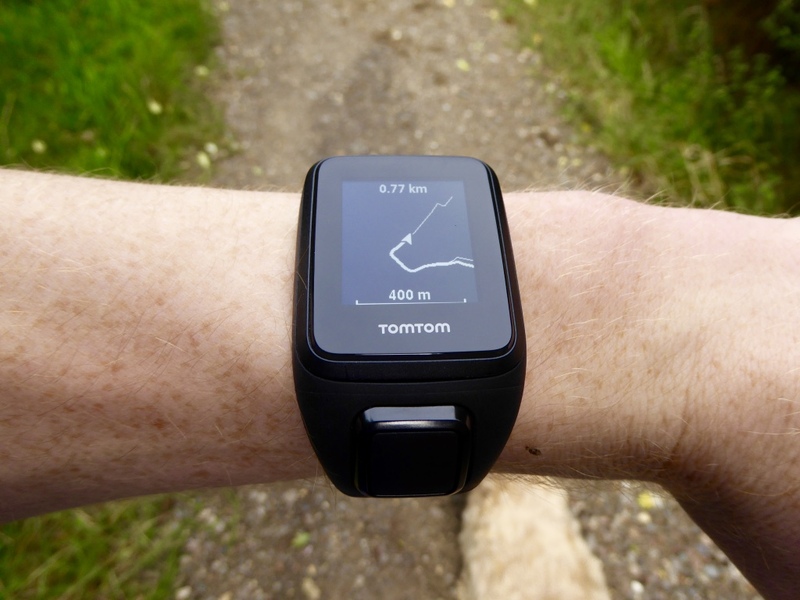 The tomtom3 spark seems like an excellent all around watch. I do however workout in the gym a lot and do a lot of intervals on a concept2 rower. I don’t think indoor rowing is covered by any of the tomtom apps – so what exactly (if anything aside from pulse rate) will I be able to see if I want to track my rowing? Hi I have a question regarding the battery life of the watch when cycling it only lasts an average of two and a half hours max is there a reason for this. I always leave with a full charge but it’s frustratng when it dies . Fantastic in-depth review, thank you think you’ve covered all the tech bits. Only one question, can you download podcasts to listen to when running?